This heartbroken father tells his story with honesty and vulnerability, sharing his journey from grief-stricken thoughts of his own suicide to God-fueled courage and a ministry that now offers comfort and hope to thousands. Alive in Heaven! – A Child Died a Father Cried and God Answered. A real life story of tragedy, hope and healing. At 2:30 a.m. on July 12, 2005, Mark Canfora received a call from his sixteen-year-old daughter: “Daddy, Marky’s dead.” His eighteen-year-old son had passed away. As a result of this tragedy, Mark would never be the same. 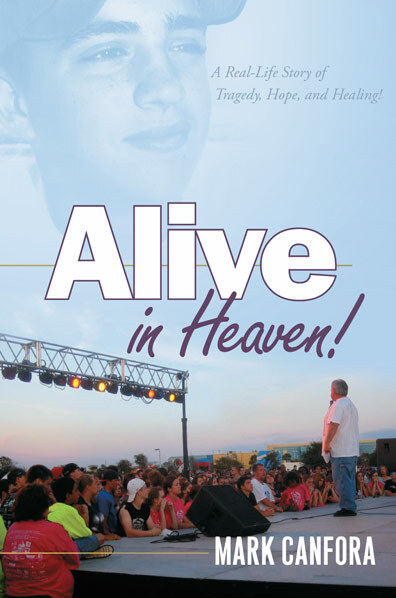 Mark Canfora now directs free Celebration of Life and Message of Hope festivals (including events at the same park where his son passed away), featuring live music as well as an inspired message of hope and healing, where thousands of people have accepted Christ as their Lord and Savior. 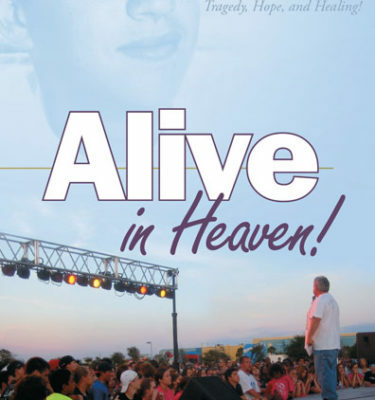 For more about this remarkable true-life story go to www.AliveinHeaven.com. © 2019 We've Got Hope. All Rights Reserved.